Who doesn’t like to receive a free gift? Exactly! Everyone likes free gifts – be it a free soft drink at your local restaurant or free delivery from an online shop – FREE SELLS! It has been proven over and over that adding a small incentive to an offer (like a free gift) increases conversion rates, in some cases DRAMATICALLY! There have been numerous studies done on this and some have even revealed that customers occasionally buy a product SOLELY due to the free gift! So it doesn’t just influence their decision, it can completely shape it. Free gifts WORK, there’s no question about that. And eBay is no different – it’s a marketplace where all the same classic marketing rules apply. So why not take advantage of this free gift concept and apply it to your eBay business? They’re offered to ALL buyers. The last one means that you can’t advertise a free gift to every 3rd customer for example – that would basically mean you’re running a raffle, which is against eBay’s rules. Plus it could potentially be misleading and would most likely cause feedback problems too as some customers won’t read the small print and expect that gift with their order. So as long as you’re giving away an item that’s not prohibited, in a transparent way and to ALL buyers, you’re perfectly fine executing this strategy on eBay. How to Make the Most out of the FREE Gift Strategy! The key to success with this strategy is to a) offer a free gift that is highly related to the product you sell and b) to make the gift at least look valuable! Let’s break down each of these two elements separately. 1) The free gift should be highly related to the product you sell. This only makes sense, right? It would be stupid to offer a free phone charger with every sale of a baby stroller… Ideally the free gift you offer should in some way help customers to better use your main item, or to make it look better. Basically to in any way IMPROVE the offer. If you sell RC toys, FREE batteries always work perfectly! If you sell re-chargeable items, a multi wall charger or car charger would be a perfect gift! If you sell strollers, a rain cover will perfectly match your offer and will definitely increase conversion rates! If you sell dog food, a free bowl with your company’s logo on it would complement the item perfectly! If you sell home security systems, offer one free smoke detector with every purchase! Be creative here – THINK from your customers’ perspective! What is that item that would make your deal look even more appealing? When you get inside your customers’ minds, that’s when you hit the jackpot and can really make the most out of this whole strategy. 2) The value of the free gift should be high enough so that it actually influences your customers’ buying decision. And by value I don’t mean the lowest selling price for that item on eBay – this is a case where you can and should use the RRP of that item to make your free gift as appealing as possible. Also, the value of the free gift should be in proportion to the actual product’s price. For example, if you sell an item for £300, a free gift worth £5 probably won’t make a huge difference in a buyer’s mind. The higher the value of the free gift, the more success you’ll get out of this strategy. Obviously, you want to keep an eye on your bottom line here – there’s no point in giving away an expensive gift if that eats up all of your profit. Depending on the product’s price, the free gift shouldn’t cost you more than 20-30% of your net profit, ideally less. 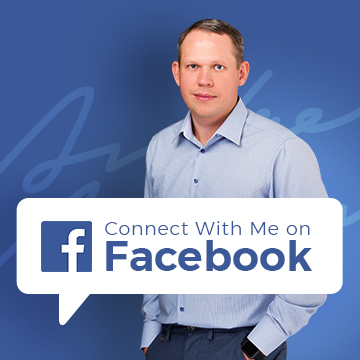 If your margins are extremely tight and you simply can’t afford ANY extra expense, consider giving away an info product – this is actually a very powerful concept and what we’ll cover next. 3) They allow you to create a truly UNIQUE offer that no one else in your niche can replicate. You’re not limited to writing guides or creating videos here. If you really can’t do either of those, you can always create a list of the top blog posts, YouTube videos and other related online resources. For example, if you sell glass beads (craft niche), you can simply put together a collection of 100 craft projects you can make with such glass beads. All you need to do is find links/videos and organise them into a PDF file. 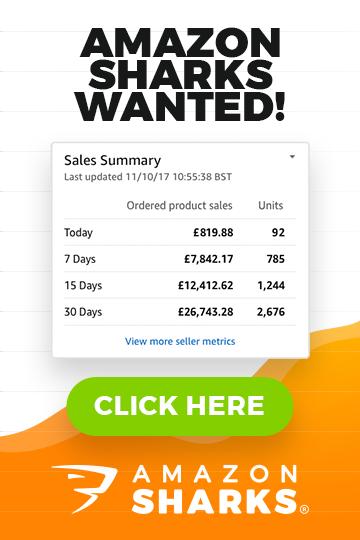 The beauty of giving away info products is that you can put a much higher value on them compared to tangible goods – no one really knows how much your free guide should cost, so you can easily price it £14.95, £29.95 or even more if you’ve created your own ebook or video. Sell craft supplies – give away project ideas/a guide of useful resources. Sell nappies – give away a short PDF course on potty training. Again, it’s time to get into your customer’s shoes and REALLY THINK FOR A MOMENT!!! What is that piece of information that would help them better use your item? IMPORTANT! The best way to automate your free gift delivery in the case of information products is to use an auto responder service, such as Mail Chimp. 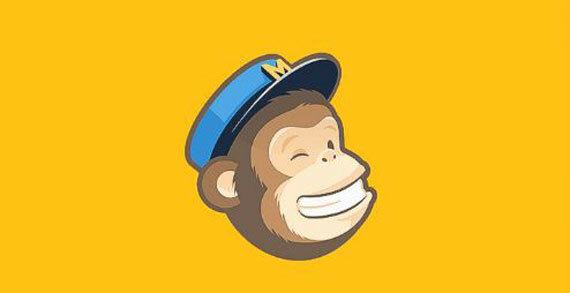 Check out my Mail Chimp guide here to learn how to connect it to your eBay account. Another thing I like about using information products as free gifts is that not only will you increase your conversion rates by giving away valuable material, you’ll ALSO build a customer email database! You can then use this database to send out newsletters and special offers for your eBay/online shop! All for free. Of course the concept of offering information products as a free gift won’t work for every product BUT if you’re a creative person and you spend the time thinking about it, chances are you can come up with a suitable info product that will properly complement the items you’re selling. Remember, you’re not limited to educational/instructional material! It can be fun and entertaining too, especially if the item you sell targets younger customers. For example, if you sell any kind of extreme sports goods, you could give away a compilation of the TOP 100 YouTube videos related to that extreme sport. This doesn’t cost you anything – just some time to find those videos and organise the links in a PDF file. I haven’t mentioned it yet but I’m sure you’ve already realised this – you need to make sure you SHOW OFF the free gift offer in your listings! You don’t want to hide the fact that your offer includes a free gift. Alright, if you’re simply sending some free candy as a thank you with each order, you don’t need to advertise it in your listings, but for a free gift that you want to sway potential customers to buy from you, you need to make sure that people actually SEE your offer! Otherwise it’s all a waste; you’ll see no increase in sales and just add on a needless expense. And this applies to information products too, even top video lists and such. You want to create some sort of graphic, ideally with a 3D cover (outsource on Fiverr.com for $5), to visually present your free gift and make it look even more valuable than it actually is. Don’t take any shortcuts here – if you decide to do this, do it RIGHT from the beginning! I truly believe that the free gift concept will work in ANY market and with ANY product and there are really no excuses to not implement it in your own eBay business. Not only will free gifts increase your conversion rates, they also allow you to stand out from the multiples of near identical listings in search results! To make this effect even more noticeable, make sure to add FREE GIFT at the end of your title and if there’s enough space left. Lastly, don’t be afraid to test various different free gift offers. Some may work better than others for your particular items but without testing, you’ll never know for sure which works best and has the most positive effect on your business! eBay, Amazon or an Online Shop?